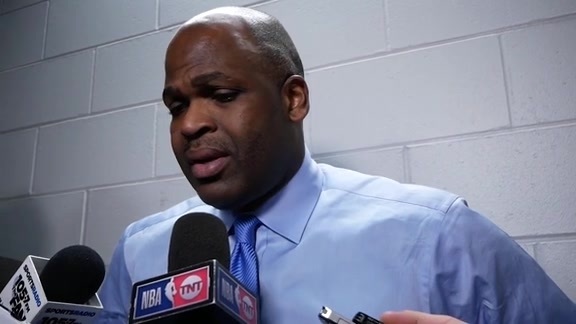 February 12, 2019 - With only one game to go before the All-Star break, the Pacers aren't getting ahead of themselves as they prepare for Giannis Antetokounmpo and the Milwaukee Bucks. Two of the hottest teams in the Eastern Conference will clash on Wednesday night in what will be the final game before the All-Star break for both squads. 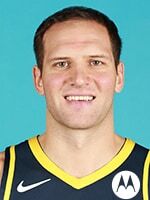 The Pacers (38-19), winners of six consecutive games, will host the Milwaukee Bucks (41-14), owners of the the best record in the entire NBA and winners of seven of their last eight. 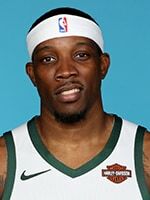 The Central Division matchup will offer a perfect measuring stick game for an Indiana team that has regained its stride after losing Victor Oladipo to season-ending surgery and recently acquired veteran shooting guard Wesley Matthews. Matthews' debut against the Hornets probably wasn't how the 10-year vet had pictured it would be, going 2-of-10 from the field. But the two shots that did fall for Matthews were timely, as a pair of threes in the final minutes of the game put Indiana safely ahead. 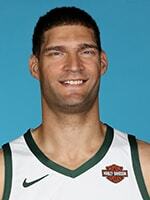 "I could feel all of Indiana willing that in for me," Matthews told FOX Sports' Jeremiah Johnson after the game. Now Matthews and the Pacers will turn their attention to one of the frontrunners for MVP in Giannis Antetokounmpo, whose East-leading Bucks have been on an absolute rampage this season. 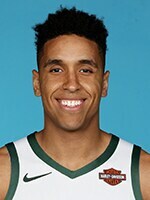 The Bucks have the NBA's fourth-ranked offense and first-ranked defense (per NBA.com/stats), haven't lost two games in a row the entire season, and have gone 10-1 in the Central Division. 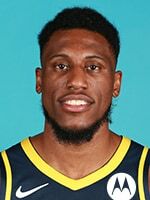 That one loss, however, was to the Pacers in December, in a game in which Indiana's stout defense seemed to cause problems for Antetokounmpo — most notably the individual defense of Thaddeus Young. 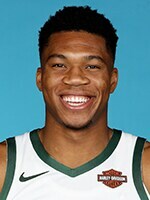 With Young shadowing Antetokounmpo for nearly the entire game, the Greek Freak went just 4-of-6 from the field and finished with 12 points, far below his season average of 27.1 points per game. Young, on the other hand, posted one of the best performances of his career, ending his night with 25 points, 11 rebounds, five steals, four assists, and one block. "All of my teammates were in gaps. 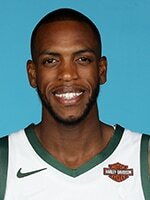 Every time I made (Antetokounmpo) spin, or I jumped in front of him, guys would make him pass the ball," said Young after the win. "It was a great team effort." Come Wednesday, it will take another strong team effort as the Pacers seek to close their pre-All-Star schedule with a statement victory. 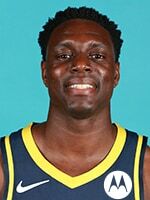 December 12, 2018: On a night in which Victor Oladipo returned to the lineup, the Pacers continued their winning ways, notching their fifth straight victory with a 113-97 win over the Milwaukee Bucks. Oladipo, who had missed the previous 11 games with a sore right knee, looked comfortable in his return to the floor, picking up a double-double with 12 points and 10 rebounds. 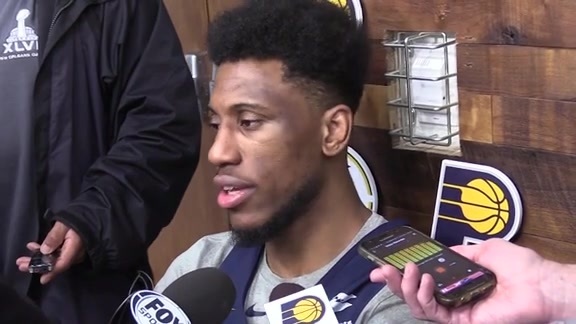 "It was great team defense," said Thaddeus Young, who led the team with 25 points and 11 rebounds. "All of my teammates were in gaps. Every time I made (Antetokounmpo) spin, or I jumped in front of him, guys would make him pass the ball. It was a great team effort." 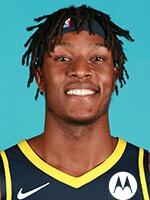 Young and Myles Turner each surpassed 20 points while providing exemplary rim protection against MVP-candidate Giannis Antetokounmpo, who was held to just 12 points in the #PacersWin. The Bucks lead the all-time series 99-90 and the teams have split their season series 1-1 so far. Former Pacers guard and Indianapolis native George Hill is a member of the Bucks, averaging 5.9 points and 2.2 rebounds in 20.9 minutes per game. 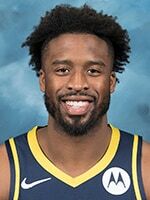 Indiana's six-game winning streak marks the third winning streak of six games or more for the Pacers this season, the first time they've achieved that since the 2003-04 season when they won a franchise-record 61 games.